So now, because we have the option of using either a file or database entry for our pages, we can decide which is better for our use case. So let's go through our pages and decide which ones would be better as files and which ones would be better in the database. In this case, for our particular architecture, it makes sense to put content that has a lot of PHP processing into a file because most likely we'll want to edit that in a text editor rather than directly in the browser. Those files are also probably ones we don't want to end user to manipulate. So let's take a look at our files one by one. So again, I'm in our site folder and I'm going to open up the contact. php file. So our contact. 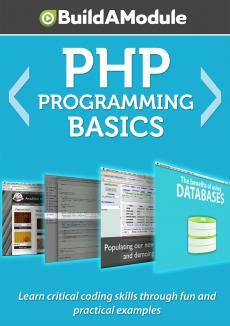 php file doesn't contain a lot of PHP code, just the title, like our about page. But it foes include some complicated PHP code that could be easy to break and isn't necessarily something that a content creator would know how to deal with. They may not understand exactly the structure of a form. And so, this could potentially be something that we want to keep as a file rather than put in the database. Let's take a look at the next file, home. php. So again, this is our home page and if we look at the content, it's pretty much just straight up HTML except for this title here. So let's go ahead and import this into our database as well. I'll jump to the browser and I'll click on My Account to go to the administrative page. I'll click Administer pages and then Add page. And I'll jump back to the editor here and I'll copy the title and paste it in here. Our path is going to be home. php.